Standing on Square legs with an “H” frame for extra strength. The back of the chair having a pierced back splat and pretty shaped cresting rail. 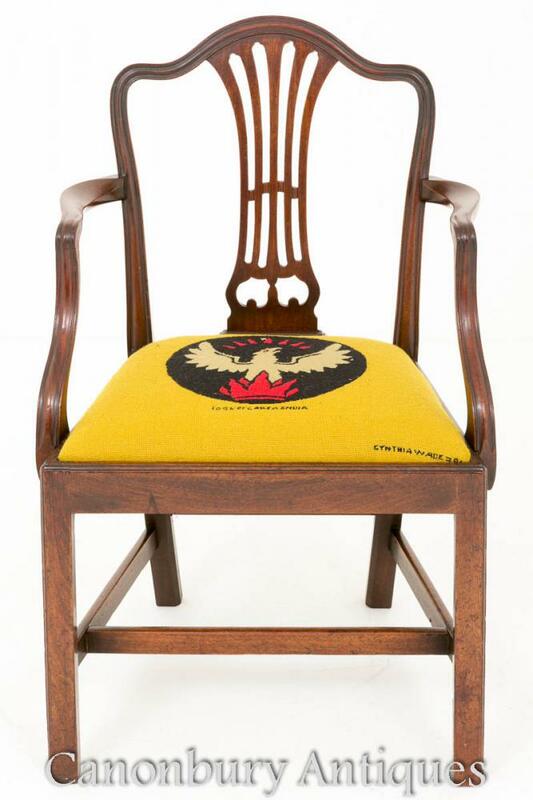 You are viewing a gorgeous pair of Windsor dining chairs – for kids! 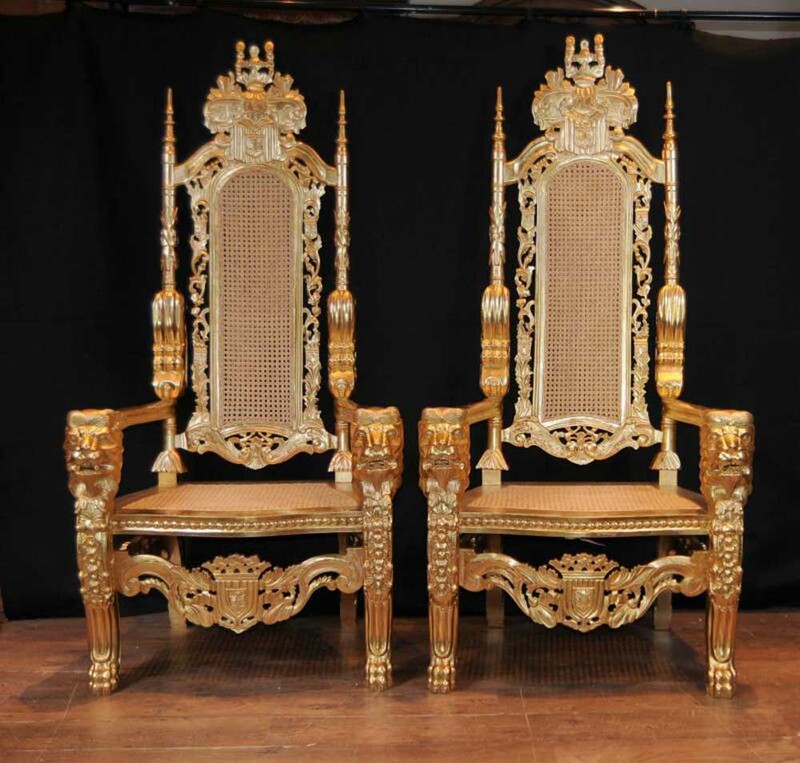 I have seen many childrens chairs in my travels – but never as a pair of Windsors. I hope the photos do these some justice, they’re certainly more impressive in the flesh. 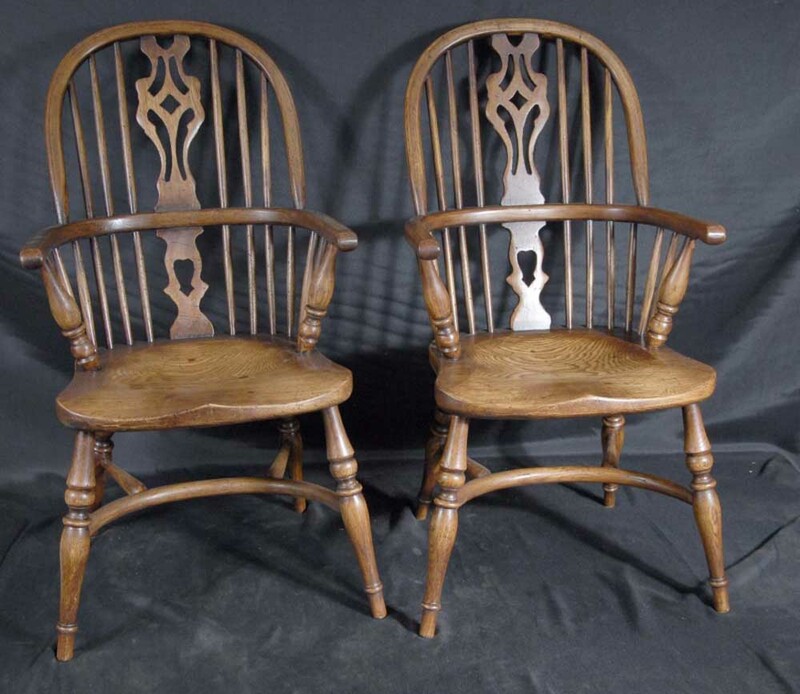 What a lovely gift these would make – they are so well made, solid and sturdy, a lovely finish to the yew wood. 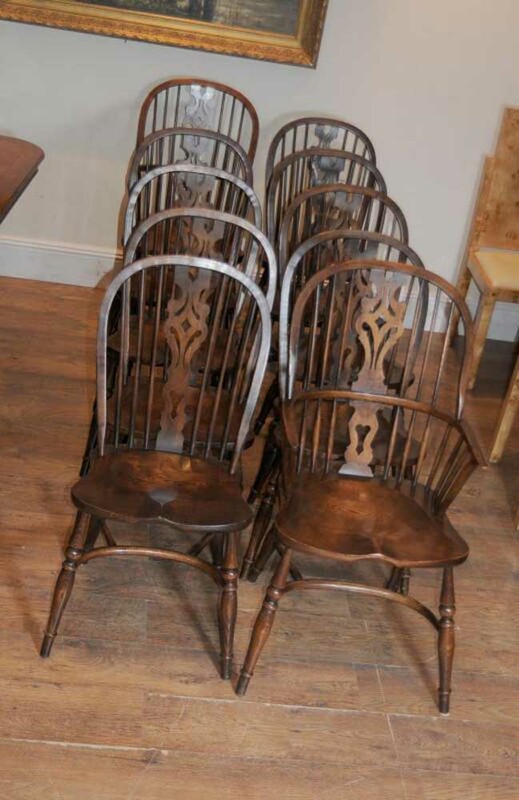 These are of course modelled on the classic Windsor chair – the archetypcal English rustic farmhouse kitchen dining chair. 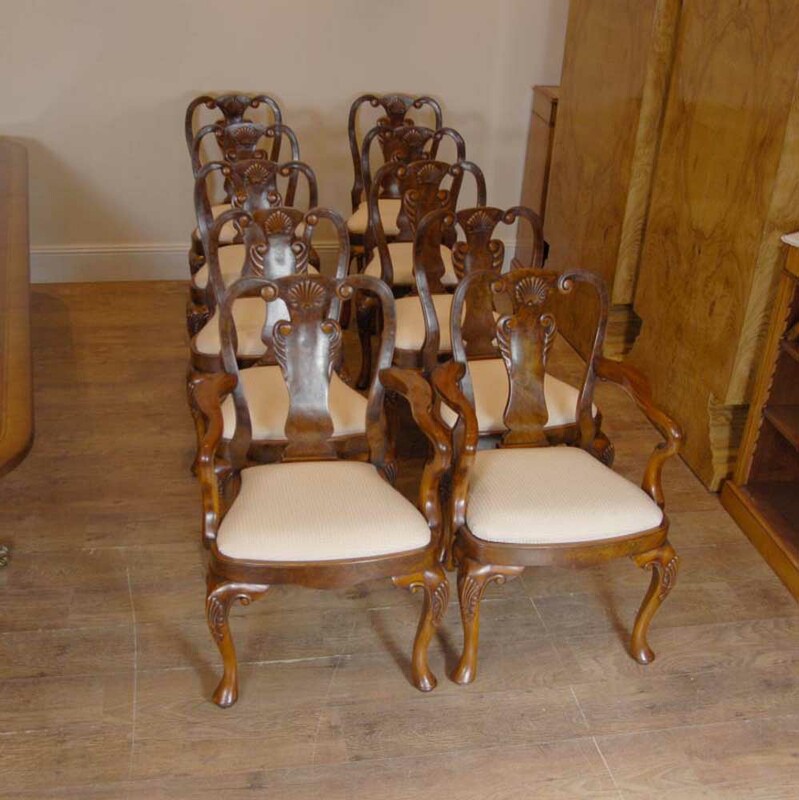 Incidentally if you are looking for a matching set of adult chairs we also have these! 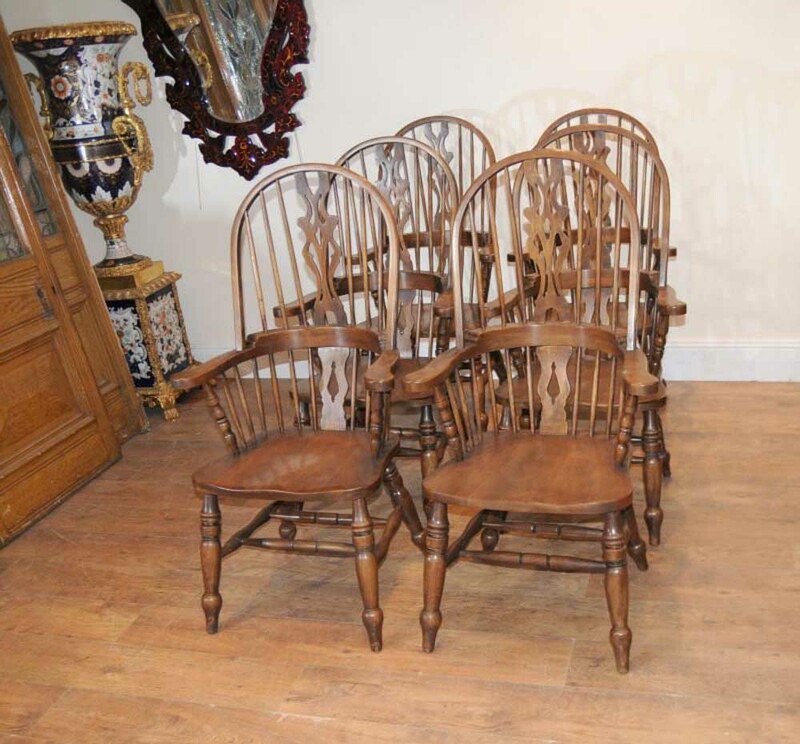 They get their name as they were manufactured near Windsor, Berks to centuries old traditions. Get your bids in early, these won’t be hanging around for long. We will sell these indvidually if you only need one, the price will be half. 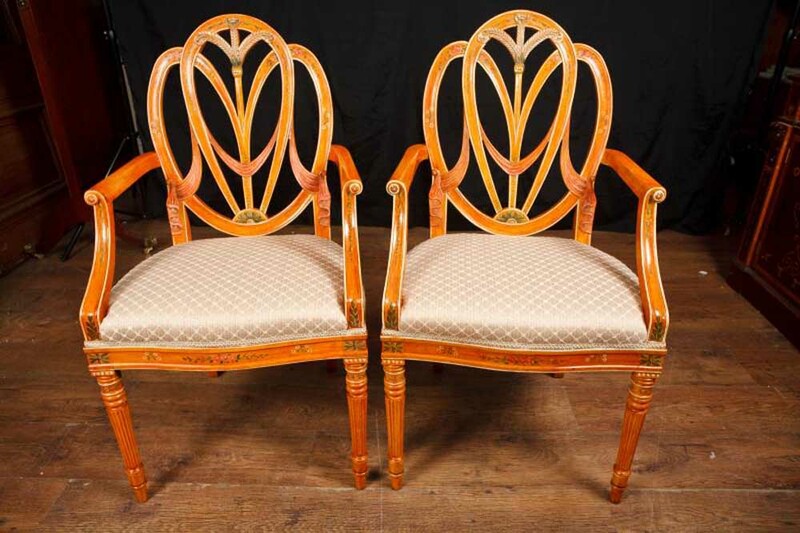 – Come view these in our Hertfordshire warehouse, just 25 minutes north of London You are viewing a wonderful pair of English Hepplewhite chairs with amazing hand painted designs. True to the Hepplewhite aesthetic, these have the gorgeous shield backsplat hand carved with the distinctive festoon. 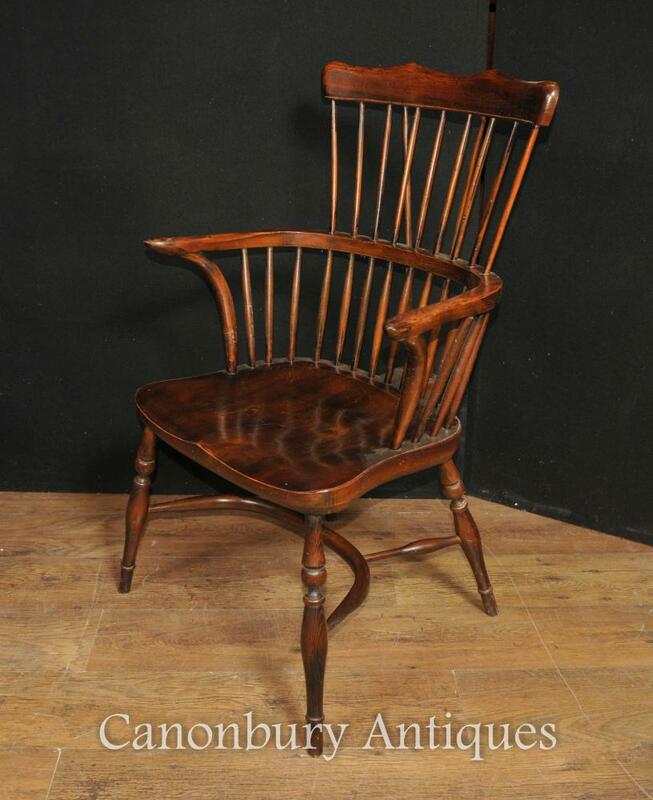 The chairs also have the classically fluted legs and elegant arms. 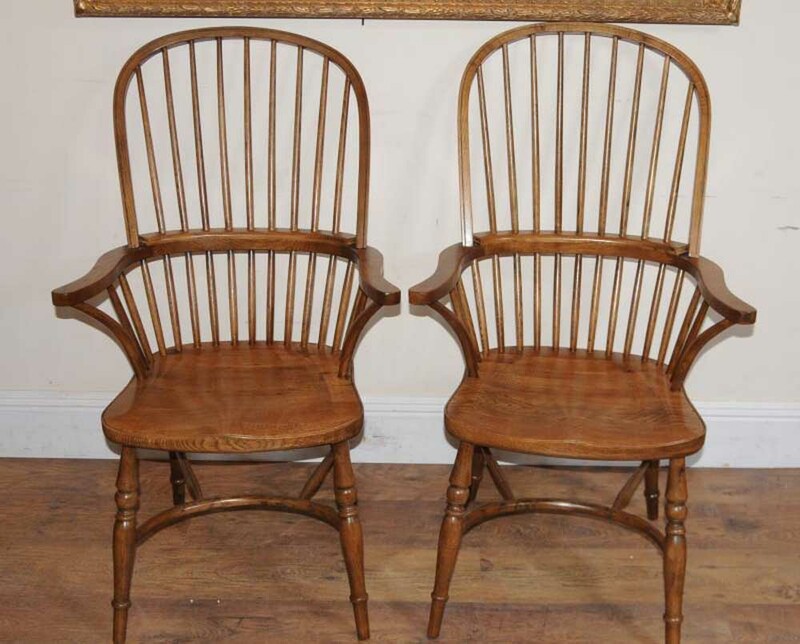 They are very comfortable to sit in, solid and sturdy with no wobbles to the joints.